Employee engagement is a key part of successful companies. Workers who are more engaged in their work tend to be more productive and feel like what they are doing matters. Engaged employees who are granted recognition for their successes, even minor successes, feel more important to the company, and thus become more engaged in their position. Increasing employee engagement is not only easy, it’s virtually free and can be extremely profitable (lower turnover rates mean less wasted time on training new employees) for the business. 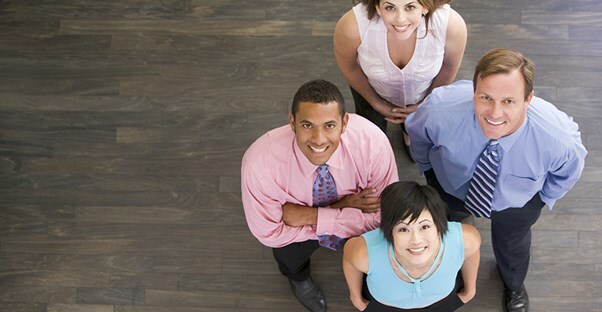 Here’s a look at five easy activities to increase employee engagement. 1. Ask your employees what they need. One of the easiest ways to start getting your employees engaged is to figure out if they consider themselves engaged. Research reports that only about one-third of employees are engaged, so chances are they aren’t. Instead of having one HR employee act as a party planner, talk to your employees about ways to encourage engagement. Do they see the big picture of the company? Do they feel involved in the company or appreciated? Your employees can be your greatest resource in more ways than one. 2. Do more than work. While, yes, it is important for your employees to work well together, it is equally important for them to be engaged together. Experts recommend doing things together during off times—not just a select group going for a Friday evening beer, but all-inclusive involvement. Entrepreneur magazing says that “Companies that support philanthropic causes by involving employees and management in volunteer projects see a direct increase in engagement and productivity.” Essentially, your employees see that you aren’t just out for a profit but want to make a difference in the world. 3. Make the workplace fun. Things your employees do together don’t all have to be philanthropic. Find time to start a weekend softball league. Celebrate the holidays with lunchtime potlucks. You can also institute things like casual Fridays or periodic events that promote creativity and encourage your employees to work together in new and different ways -- fun ways that make them want to be at work. Lower level employees won’t be apt to be engaged in their work if upper management, leaders, and owners don’t seem engaged. A key aspect of employee engagement is employee recognition. This doesn’t have to be big, extravagant gestures like $100 gift cards for an employee of the month, but recognizing what your employees are doing can go a long way to keeping them interested in their job. One of the most effective and easiest things you can do for your employees? A simple thank you. 5. Make sure employees see leaders and management. Employees should be able to see upper members of the team both literally and figuratively. It’s important for employees to see not only their position, but how their position fits in with the rest of the company. Visibility means letting employees see when they are being appreciated and making sure that employees feel the leadership is approachable. Instead of setting yourself up above lower level employees, make sure you’re creating a team atmosphere that incorporates everyone working together.